The Equitable Evaluation Initiative is designed to be co-crafted and co-led by practitioners across the philanthropic, non-profit, and consulting communities through prototyping projects, communities of practice, connection opportunities, convenings, and paradigm-shifting conversations. The EEI also has a core team to facilitate and guide this work on a day-to-day basis. This team will be growing in coming months. Jara Dean-Coffey is Founder and Director of the Equitable Evaluation Initiative. For the past twenty-five years, she has partnered with clients and colleagues to elevate their collective understanding of the relationship between values, context, strategy and evaluation and shifting our practices so that they are more fully in service of equity. Her consulting practice, jdcPartnerships and now Luminare Group, has consistently sought to push practice and incubated the initial explorations of equitable evaluation (EE) as a next step for the field. Jara, co-authored Raising the Bar: Cultural Competence and Equity - Equitable Evaluation (2014) that led to funding for the two-year Equitable Evaluation Project in partnership with the Center for Evaluation Innovation and Johnson Center for Philanthropy. This exploration affirmed both the need and appetite for elevating and advancing EE practice across the field. More recently, Jara published What’s Race Got To Do With It, Equity and Philanthropic Evaluation Practice (2018) in the American Journal of Evaluation as part of special edition on race and evaluation. She is currently working on a chapter titled “Values, Voice and Validity” for a book by the Center for the Study of Social Policy. As Founder and Principal of Luminare Group, and its previous incarnation jdcPartnerships, Jara has more than 25 years of experience with foundations and nonprofits of all sizes (from budgets of less than $500,000 to $2.5 billion) across the country focused on strengthening evaluative thinking, engaging in strategy formation and planning as well as evaluative work. Attention to organizational culture, intentions and values alignment is integral to how Luminare Group selects client and consulting partners and the ways in which engagements are designed, executed and concluded. Clients have included: RYSE Youth Center, David and Luclle Packard Foundation, Interaction for Social Change, Annie E Casey Foundation, Compasspoint, Neighborhood Funders Group, First 5 Marin Children, and Families Commission and others. Jara is frequently invited to lead capacity building or pushing practice sessions on evaluative thinking and strategy formation for initiatives like United Philanthropy Forum, ChangePhilanthropy, Equity in the Center, among others. She is a founding member and Steering Committee Member of the National Network of Consultants to Grantmakers, and sits on the Philamplify Toolkit Advisory Committee and the Board of Directors of the American Evaluation Association. Jara is dedicated to co-leading, co-crafting, and co-evolving the Equitable Evaluation Initiative with leaders across sectors and disciplines. The Partnership model and the EEI working Theory of Change reflect an understanding of the complexity of field dynamics and the multiple levers and players which influence evaluative practice and the need for us to work in alignment to shift the current paradigm and continue to transform evaluative practices. Ginger has been the strategist for the EE Project and EE Initiative since 2017, working in partnership with Luminare Group, Center for Evaluation Innovation and the Johnson Center for Philanthropy to clarify the work’s vision, values and goals, with a strong emphasis on building and leveraging community assets across the EE ecosystem. Her change initiative design approach is deeply rooted in the intersection of strategic planning and strategic communications, ensuring that all stakeholders -- during both planning and implementation phases -- are aligned. 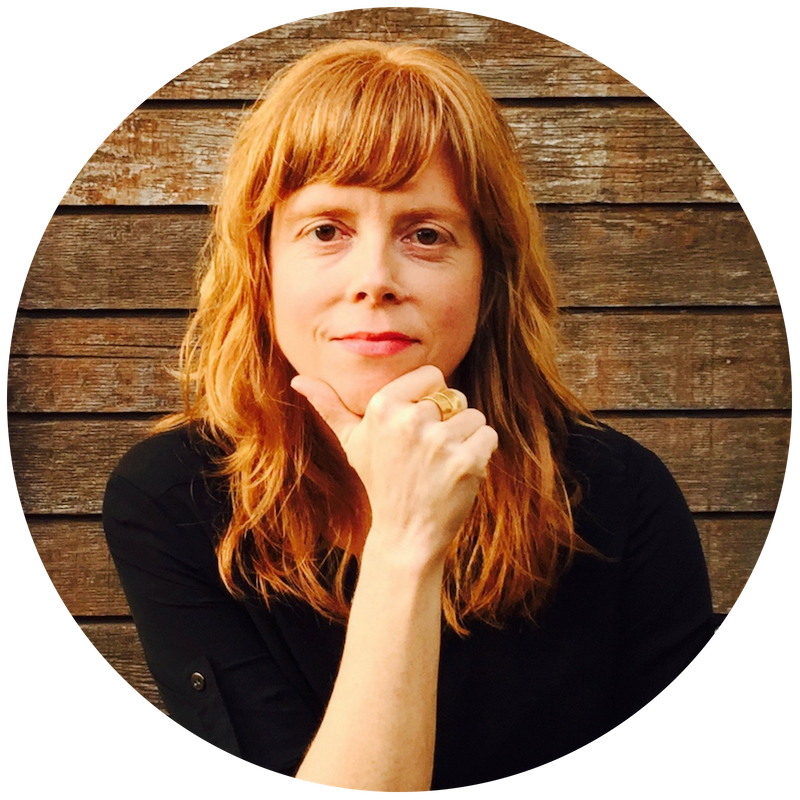 Ginger brings over 20 years of experience leading communications, facilitation, and strategy for game-changing social and environmental justice initiatives across the US and internationally. Other current partners include Unbound Philanthropy, the Pop Culture Collaborative, and the Collaborative Fund for Women’s Safety and Dignity. Lore de Force is a creative agency and consulting company passionate about the intersection of digital technology and social good. Founders Jennie Armstrong and Claire Biggs have worked with the EE Project and EE Initiative since 2017, playing a key role in designing the Initiative brand and website, developing and executing the communication strategy, and engaging EEI partners. They have spent the past decade supporting individuals, organizations, and Fortune 500 companies in launching and growing socially-responsible brands and movements, with their portfolio of work spanning issue areas, disciplines, and continents. Recent projects include serving as the Senior Communications Advisor for the Joint Peace Fund in Myanmar and being selected as a U.S. State Department PFP Delegate, which involved training entrepreneurs in Egypt on the principles of Human Centered Design and Lean Startup in advancing their social good missions. To learn more about this opening and to apply, head here. Linda works closely with foundations, nonprofits and other field leaders to improve approaches that drive meaningful change. This includes providing skilled guidance to philanthropy over the last 20 years to advance program management, evaluation, and shared learning networks. Clients have included the W.K. Kellogg Foundation, C.S. Mott Foundation, and the Council of Michigan Foundations, among others. She brings a unique perspective and expertise in crafting innovative learning resources on complex critical issues to be more easily understood, shared, and applied. Linda has been partnering with EEI Practice Partners since 2018 and has led the writing for the first EE Teaching Case. Over the past 15 years, Jackie has transitioned from social science evaluator to operational champion of the woman-owned small business. Jackie’s work supports growth and streamlining of operations for solopreneurs and entrepreneurs, with a focus on accounting, finance, and administration, which enables them to grow and better serve their end customers. With a background in social science research and evaluation consulting, Jackie has experience in and knowledge of the foundation and nonprofit worlds, but her client list has ranged from financial consultants and leadership coaches to breweries and yoga instructors.